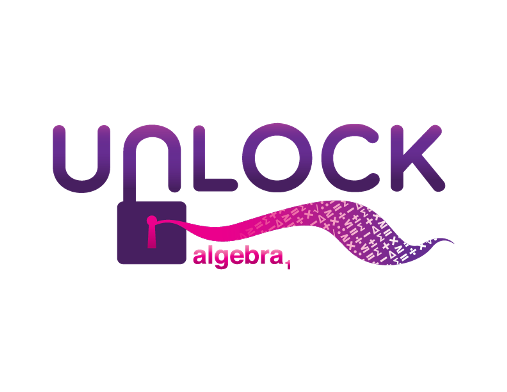 We used UnLock Math for pre algebra, and I was thrilled be able to continue with UnLock Algebra1 They also have UnLock Algebra2 and the newest UnLock Geometry. My 15 year old uses UnLock Math as his primary math curriculum. It is not a supplement for him, but a complete program. I did struggle before with how much work Canyon should do in a day. The pacing guide for Algebra 1 was perfect for me to gage how many lessons he should do at a time. It is basically one per day, but I wasn't always sure if we should do more since it was on the same topic. I printed the pacing guide out and we can check mark after he gets done to know if he is staying on track. Algebra1 offers a review of Pre Algebra, which is always helpful when starting a new math. I love the set up of UnLock Math. Take a look at how easy this lesson page is to maneuver. You begin with the warm up, just a few questions to get your math brain working. Then the video is embedded right in the lesson! No need to search to find where it is, or what one you are on. I love this. I have yet to find a math program where there is an actual teacher, going through the lesson both visual and audible. This combination has been wonderful for my 15 year old. It is like he is sitting in his own classroom one on one with the math teacher, and it isn't me! After the lesson there are practice problems to go through that correspond with what was just taught. The stay sharp section is continued reinforcement for past lessons and is a great section to keep up with. There are not many problems to do, so I do require Canyon to work on these. He typically peeks at the Challenge Yourself section, but usually by then he is ready to be done. I figure if he got that far it is a win for me! The challenge yourself section would be one that I would have done as a kid, because I really did enjoy math. The reference notes are excellent to print out for an outline of what was taught. Great to keep in a binder to look back on for later lessons if the student would have difficulty recalling past lessons. There is also an option on the home page to print out the complete reference notes if you choose to do that ahead of time, all 472 pages of them. The student can get a progress report at anytime, and there is also a pie graph showing them their progress in the unit. All great visuals and reinforcement to keep on with the program. I know I like to visually see how far I have come in a curriculum. Those are the lesson titles, of course they go into much depth within each unit. A full year program, with a teacher visible and available for questions. I have not found a better math program for my teen son than UnLock Math! See what the other crew members thought of UnLock Math and be sure to consider them for your upcoming school year.